We are an intimate and friendly Italian restaurant in Worthing, serving authentic and rustic food. Many of our customers tell us that eating with us is like getting to enjoy that special last-night-of-the-holiday meal again. 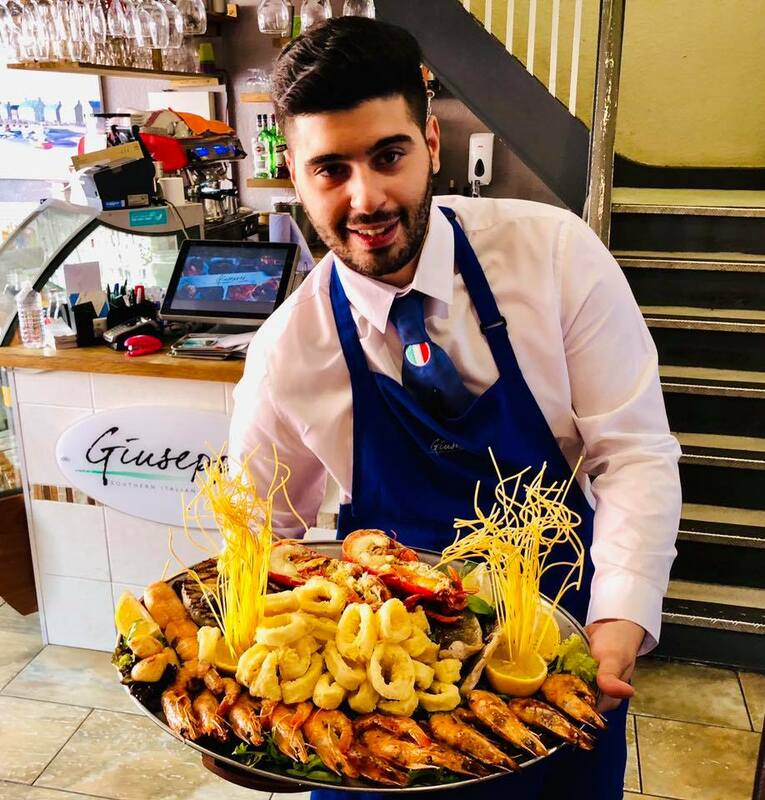 Giuseppes grew from the owner’s passion for Sicilian and Italian food, and his desire to share the relaxed, sociable way of living that accompanies it, with people in Worthing, his adopted home town. We serve a wide range of authentic Italian food, from familiar favourites like lasagne and carbonara, to high quality locally-sourced steaks and fish and Italian specialty dishes. We also have a children's menu, and plenty of options for vegetarian or gluten-free diets. Giuseppes restaurant grew out of the owner, Giuseppe Manganaro’s, love for good Italian food, made with fresh ingredients and served in a friendly atmosphere. We are centrally located in a historic building in Warwick Lane - the exposed flint walls in some parts of the restaurant and the intimate rooms perfectly complements our rustic fine-dining menu. Giuseppes started life as Toto’s in 2008 and was renamed Giuseppes in December 2011. Giuseppe created the restaurant to share his love of Italian and Sicilian cuisine and the traditional sociable Mediterranean way of living. We are proud of having an amazing team, including our very talented Sicilian executive head chef Gianfranco Sterrantino, who has previous experience with 5-star hotels throughout Sicily. Also, our highly experienced, qualified and super friendly front of house manager, Mario Arena. One benefit of having a smaller restaurant is that our staff get to know our regular customers. We say that we are more than a restaurant, we are a family. All our food is sourced from high-quality suppliers and is prepared fresh to order on the premises. It’s selected personally by Giuseppe, to make sure that our food stays at the standard our customers have come to expect. All our fresh fish and seafood, for dishes like our Kings’ Platter, are caught by Worthing fisherman. This means that it costs us a bit more and that some of our seafood dishes are subject to availability, but we think that the extra quality is more than worth it. All our meat is locally sourced from a high quality, reputable Sussex butcher. Essential Italian ingredients, like our De Cecco pasta, Italian cheeses and cured meats, are sourced directly from Italy. We have our own Sicilian coffee, which comes straight from Italy and is blended just for us. Bags of Giuseppes coffee are also available to buy to take home. Take a look around the restaurant!